At home with Lorenzo and Cassandra Barbone and son Leo in Santa Clara's Maywood. 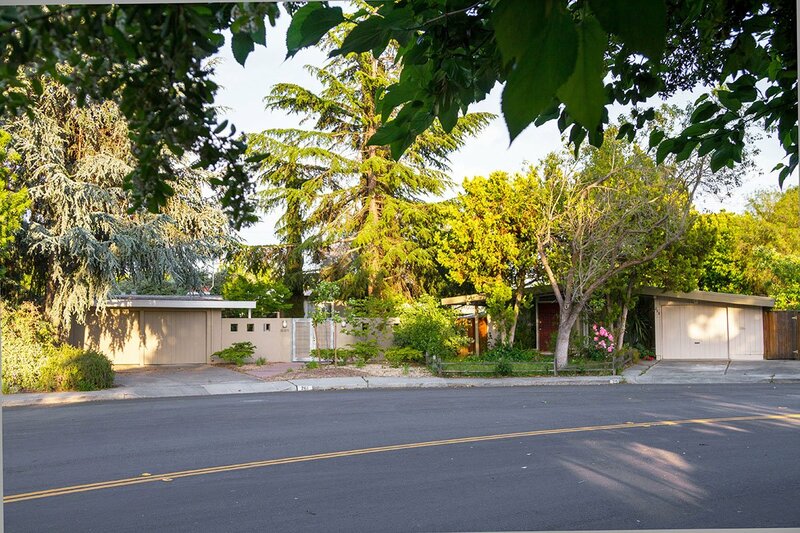 Some healthy-looking Mackay exteriors in Mountain View's Monta Loma neighborhood. 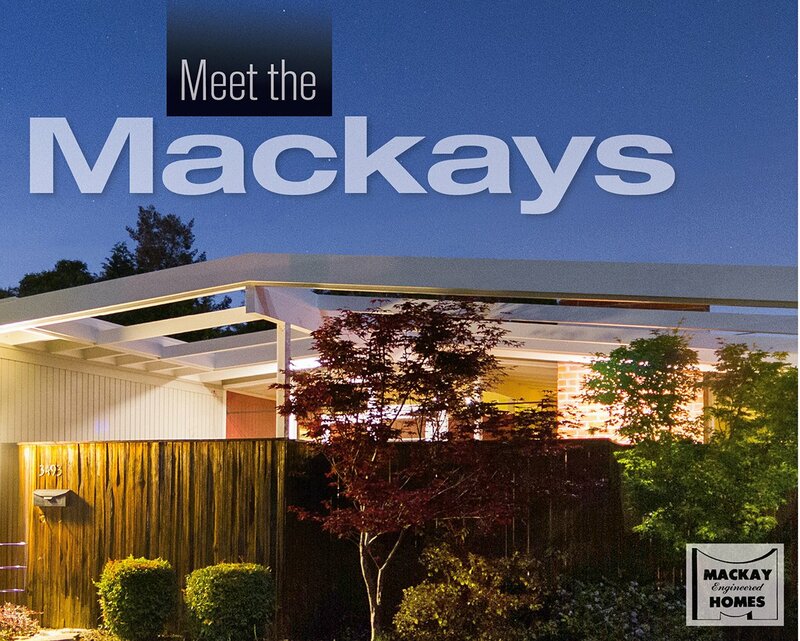 The ads called them "Mackay Wonder Homes," bragged about their "dream kitchens" and "panoramic window walls and dramatic glass gables that bring the sunlite [sic] into your home…and into your life." 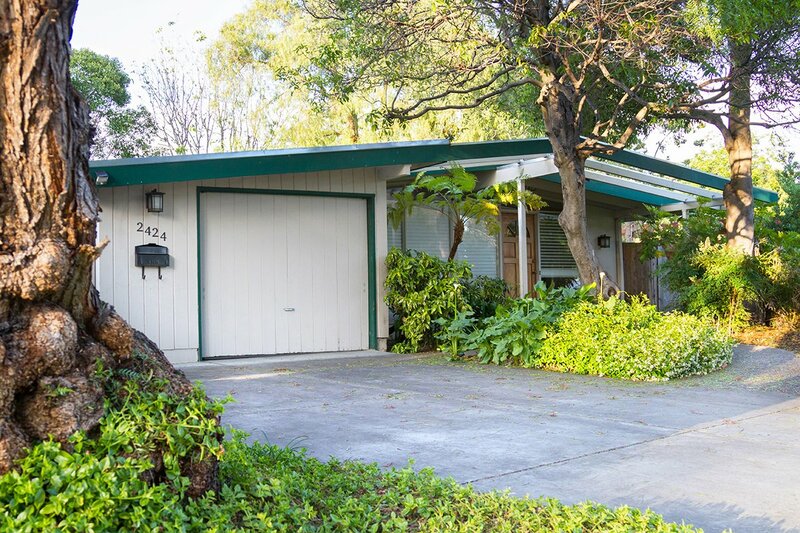 These compact tract homes, built in the 1950s by Mackay Homes in Santa Clara, Palo Alto, and Mountain View, won professional plaudits and awards. The American Institute of Architects praised Mackay homes—along with nearby homes by Joe Eichler—for using "the most advanced theories in house planning—including the house which presents a blank wall to the street." Still, over the years, the Mackays have lost their place in history. Some of the modern neighborhoods developed by partners John C. Mackay and Lawton Shurtleff, including Sunshine Meadows in Santa Clara and Ross Park in Palo Alto, have seen so much remodeling, it takes an attentive eye to even notice them. There's also a question hovering over these Mackays. Are they something special, worth preserving? 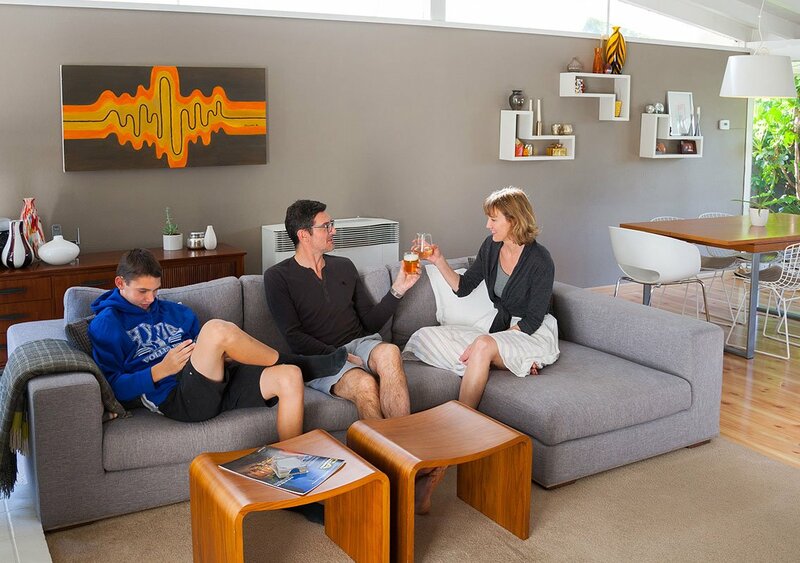 Or were they just lower-cost Eichler knockoffs to begin with, and hardly worth a thought? In Maywood, a Mackay neighborhood of some 200 mid-century modern homes in Santa Clara, many residents say the homes are special indeed. In that neighborhood, which was built in phases starting in 1954, much remains that is truly original—and not just the architecture. On one cul-de-sac, neighbors describe a scene that closely resembles how original resident Doris Oswald describes the neighborhood when it was new. "They had lot of room to play," recalls Oswald of the children there during the 1950s. "Kids played all over the neighborhood." That's the way it is today on Arthur Court, say Cassandra and Lorenzo Barbone, parents of two young boys. There are two basketball hoops on the street. A swing dangling from the tree in front of Pat Waddell and Franklin Smyth's house gets kids a-swinging. Pat and Franklin, who have lived in their home for 35 years, enjoy the influx of young families. "It was kind of barren for a while, with no kids right around our area," Pat says. "Now, with third and fourth owners, we have 18 to 20 children who live in homes within view of our gate." "It's sort of back to the way it was in 1955, '56." Franklin keeps a pile of lumber alongside his house for kids to build whatever they like. He worked with the neighboring children to create a Rube Goldberg-like contraption featuring chutes and bocce balls.